Book Adventures: Oh my gods! Percy Jackson & the Olympians by Rick Riordan is an AWESOME series. We recently finished reading it out loud as a family (my husband, myself, and our one year old daughter) and we ALL enjoyed it. My husband and I couldn't stand reading one chapter a night so we began reading two, then three, then five, anyway, you get the point. It was THAT good. We ended up reading pretty much half of the last book out loud in one night. And now we are suffering withdrawal. So we watched the movie again and ordered The Demigod Files and The Ultimate Guide from Amazon (they were both bargain priced -just over $5 a piece! They should arrive on Monday). We simply want to keep reading Percy Jackson! The series is so incredible that it's proving difficult to move on to another book. Rick Riordan has started a new series in the world of Percy Jackson called The Heroes of Olympus (incorporating Roman mythology), but there is only ONE book out now, The Lost Hero, with the second, The Son of Neptune (wonder who that's about *_*, but I've read that it's not just Percy! ), due out October 4th. 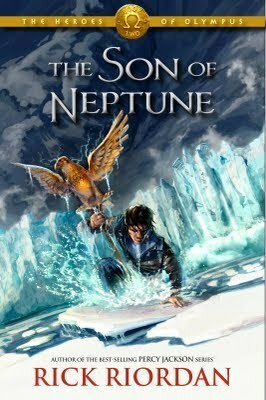 I've read the first chapter of The Son of Neptune and it IS Percy and it is so good that it's extremely difficult to wait to read the whole book. We have decided that we don't want to start the new series until we can read it all the way through from start to finish (the five book series will conclude in 2014) but we may break that decision. Supposedly the second Percy Jackson book, The Sea of Monsters, is being made into a movie. Aaaaa! Can't wait! Rick Riordan has stated on his website that you can order a signed copy of one of his books by contacting the bookstores he will be visiting (check his events calendar) before he gets there, so he'll sign it and then the store will mail it to you. I'm VERY tempted to do this (even though we own the hardcover box set, well, I'd just replace the unsigned copy with the signed) but I'm hoping beyond hope that he will come here to Provo soon! Hey, it's possible! The Provo Library is on the publishing companies Map. While reading the Percy Jackson series, aside from being incredibly impressed with the clever similes (oh there are so many. How does he come up with them? ), I discovered one of the major themes to be family. The end of the series wraps this up and presents it very well. "Because hope survives best at the hearth"
Rick Riordan is a retired English and history teacher of fifteen years who currently lives in San Antonio, Texas. Before Percy Jackson, he wrote a number of adult detective novels, starring the character Tres Navarre and one other book, Cold Springs. Since Percy Jackson, aside from the new Heroes of Olympus series, Rick is also working on a trilogy about Egyptian mythology and demigods, The Kane Chronicles. 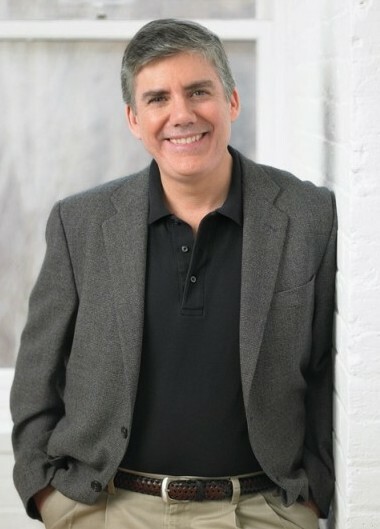 He has also worked on The 39 Clues series, writing or co-writing several of the books beginning with The Maze of Bones. The inspiration for the Percy Jackson series came from his oldest son, Haley (then nine), who struggled with ADHD and dyslexia. Haley was not a reader and was doing poorly in school, but he was interested in Greek mythology. Rick had experience in teaching the subject so he began to tell the stories to Haley at bedtime. After Rick ran out of stories, Haley asked his dad to make something up, thus Percy Jackson was born -ADHD and dyslexia included. The idea is that demi-gods are dyslexic because they are hard-wired to read ancient Greek and the ADHD serves as battle reflexes to keep them alive. Percy has become not just a demigod hero but a champion for children who suffer from ADHD and dyslexia. One girl even wrote to Rick Riordan saying that she used to be ashamed of her dyslexia but now she wears it as a badge of honor. "those are your greatest gifts"
Here's a great article about this aspect of Percy Jackson. The Percy Jackson series is so popular that Texas, Georgia, and New York host a Camp half-blood for the summer! Can you imagine? How cool! I totally want to do that with my kids. We'll read the books and in the meantime learn some sword fighting, archery, mythology, climbing, architecture, Greek alphabet and words, anyway -so many possibilities! Books that inspire other learning are so incredible! Hooray for Rick Riordan and Percy Jackson! That's so funny you wrote this because I reviewed Percy Jackson the other day and I had the same thoughts about how neat it was that he wrote these for his son who was dyslexic and had ADHD. Thanks for the articles. They were great! I loved these books, too!